This page is for CIPC members. It contains special announcements, reminders and other useful information. Also, be sure to check out the Club Events and Groups & Projects Pages each month. See you at the next meeting! ​When submitting digital images for use at the monthly Show & Tell, on the CIPC website, or by Callawassie Marketing, please submit the images using WeTransfer as follows"
Export the photos from your editing software with a file size of "1200 pixels Long Side." The resulting JPG should be 500KB - 1000KB. If your editing software requires a Resolution, set the Resolution to 240 pixels per inch. Once exported, rename your exported files so that the first three characters of the file name are your initials [ie, before sending, rename the photo file T480372T.jpg as xxxT480372T.jpg). This allows the recipient to easily determine the owner of each submitted image. 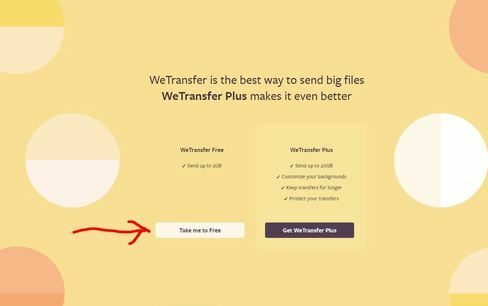 Send the files using the free web file transfer service WeTransfer (see instructions immediately below). Do not send the files via email as various email systems handle photos differently and can be very time consuming / cumbersome for the receiver to "unpack". Using WeTransfer.com to tranfer JPGs to Gene Durick or Bob Price. 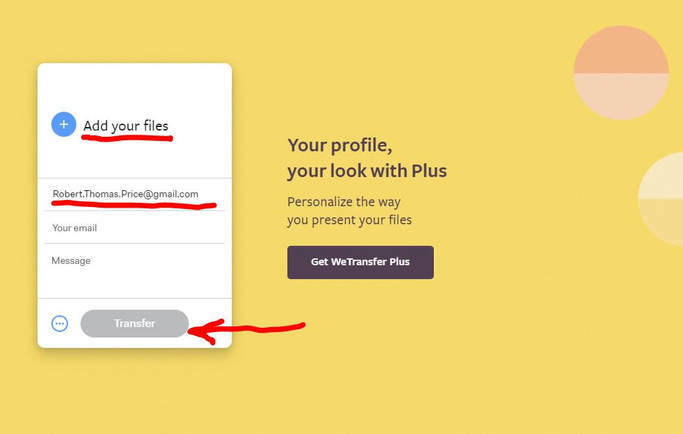 WeTransfer is a free file transfer website which will transfer files or groups of files to any other individual(s) with a valid email address. WeTransfer is very easy to use and extremely fast, for both the sender and receiver of the photos. ​The maximum total size of all files transferred at one time is 2GB (2000MB) -- which is roughly 2000 JPG image files when exported "1200 pixels Long Side". WeTransfer is free as long as you select the Free option rather than WeTransfer Plus option. And be careful, the website will keep trying to get you to upgrade to Plus. I guess you can't blame them for trying, but there is no need to do so for most non-commercial users. Be sure the files you want to transfer all have file names beginning with your initials, ie RTPF796218R.jpg. If you haven't already renamed them, do it NOW before you start the file transfer process. You may get a "Terms and Conditions" popup next. If so, Agree to the T&Cs. Click on the "plus sign" labelled Add your Files -- underlined in red above. Use the standard file selection popup box to select / open up to 2GB of files (roughly 2000 photos). Enter a short message, at least identifying yourself and what you are submitting the photos for. Press Transfer. You'll need to wait while the WeTransfer website uploads the photos you've selected. You'll get a graphic indicating the website's progress uploading the files. The process is very fast. And, shortly, you'll get a "Your Done" graphic indicating that your photos have been uploaded to WeTransfer and the recipient has received an email which will allow him (and only him) to download your files (anytime in the next 7 days). You'll also get an email confirming the files were uploaded to WeTransfer. When the recipient downloads the files from WeTransfer to their computer, you'll get a second email. Remember to name / rename your files before you get started so that the filename begins with your initials. If you get a "Sign up for WeTransfer Plus" popup -- ignore it Close the popup window. Read #2 again. If you start getting questions about credit card numbers etc, close the window and start over.